Manoj Tiwari's Hit Bhojpuri Song He He Has Deli is here! Read Chat Deni Maar Deli Song Lyrics and Watch Official HeHe Has Dele Rinkiya Ke Papa Video Song Featuring Manoj Tiwari Mrudul. The song is from the album "Uparwali Ke Chakkar Mein". The He He He Has Deli Song's music is given by Dhananjay Mishra and the lyrics are written by Manoj and Prabhu Nath. Go ahead and put chat deni maar deli status and enjoy the video. He he he has dele..
Sunila ki marad ka na naaw lihal jala..
Enke bina naaw lihale kucho na kahala.. Darling apni shadi me tumne kyu nhi nachaa? Also, check this out - Lollypop Lagelu Song Lyrics. 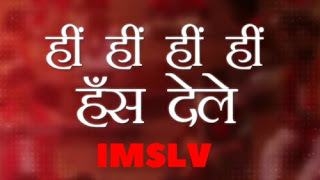 You can use this song for your whats app status, Yes we have created Chat Deni Maar Deli Whats App Status video. Have a look below and enjoy this Bhojpuri song of Manoj Tiwari Mridul. Do Share your thoughts with us in the comment section below. Keep coming and enjoying the music.